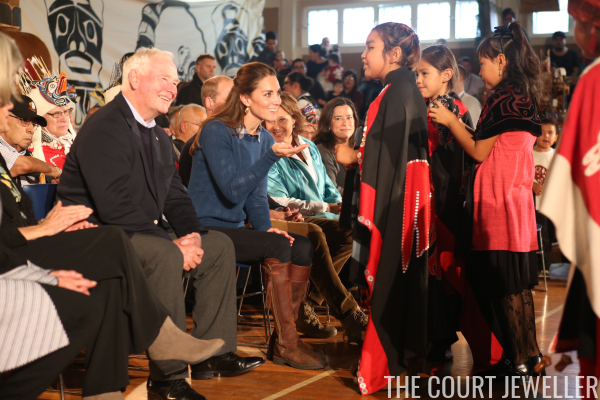 The earrings are by Pippa Small, a new jewelry designer to Kate. Based in London, Small specializes in pieces that her website describes as "different, organic, ethnic and ethical." The brand has shops in Notting Hill and Los Angeles. 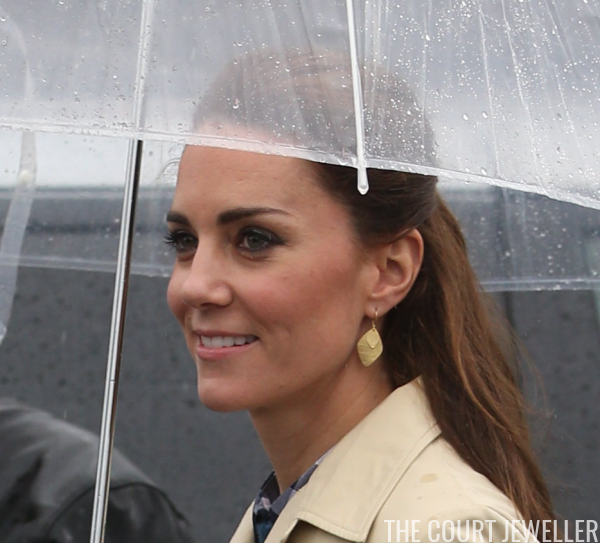 Kate's earrings are part of Small's Gold Kite range. 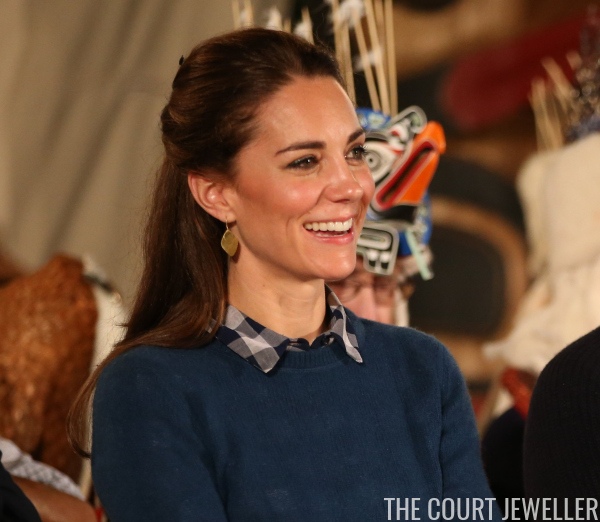 The earrings from the line feature golden kite-shaped pendants in different sizes and layered options. 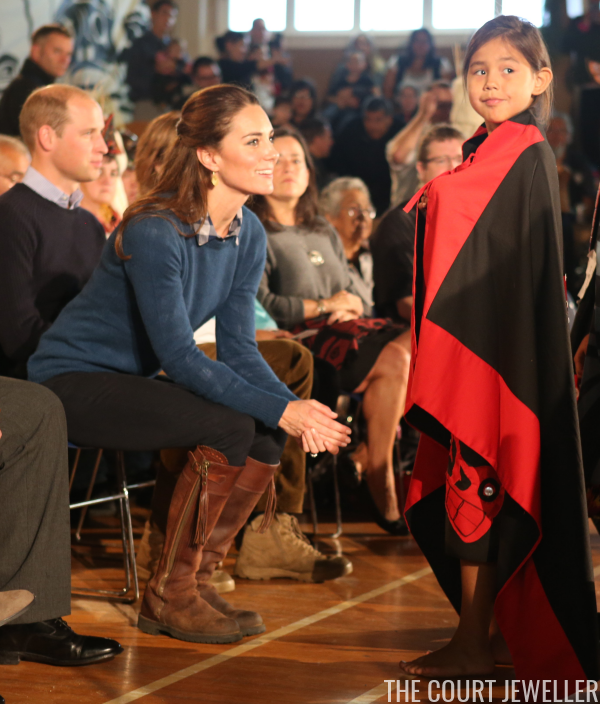 Kate's pair appears to include two kite pendants. A similar version (with three kite pendants) retails here for $470. The earrings added a bit of interest to an otherwise casual outfit -- but I think both were particularly appropriate for the occasion.